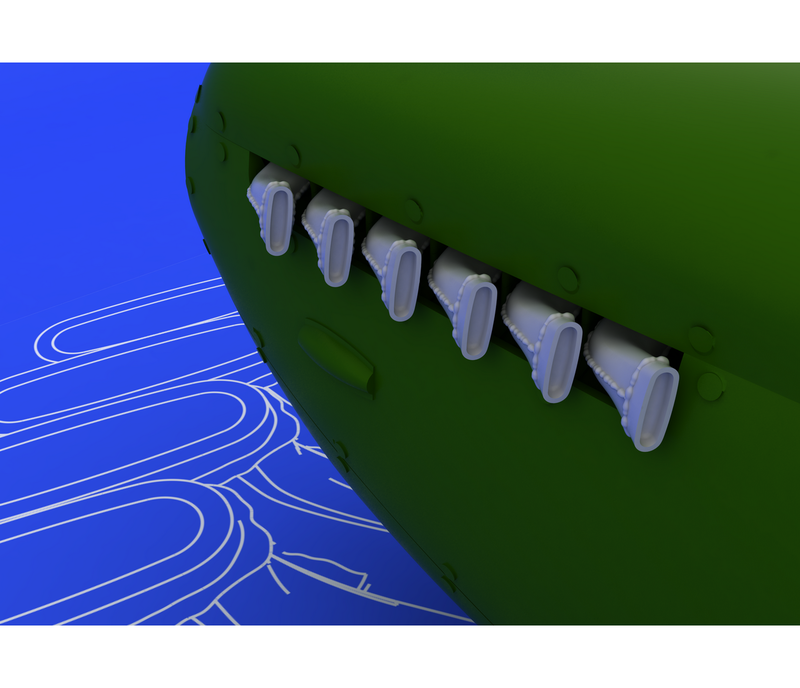 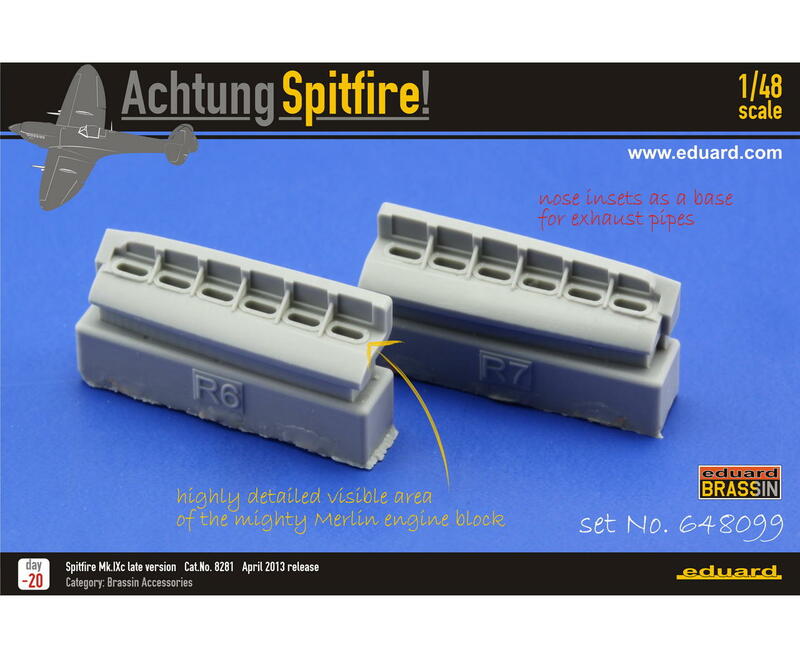 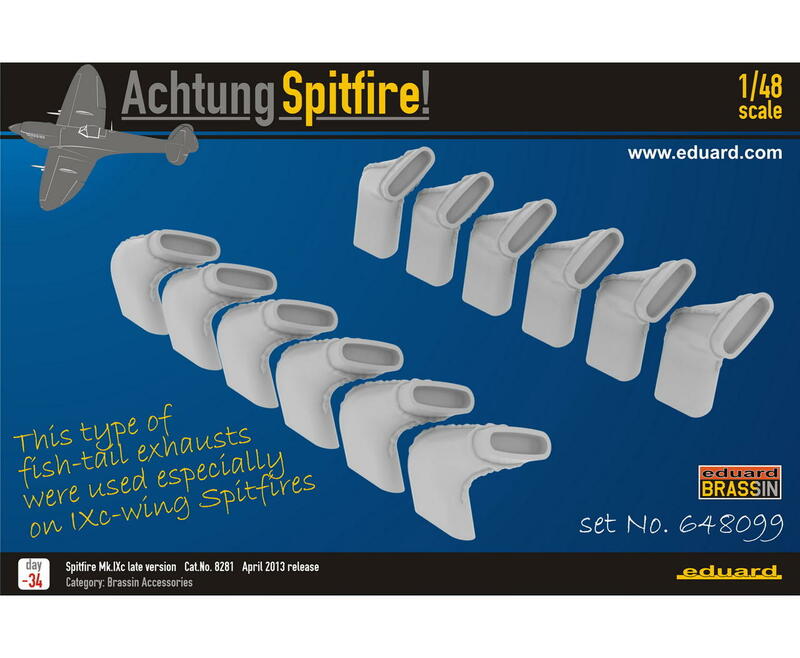 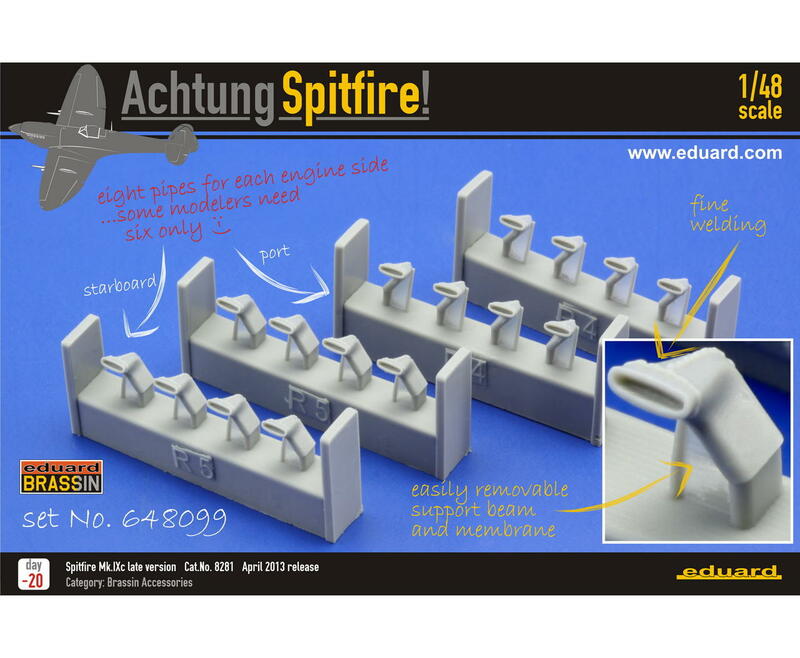 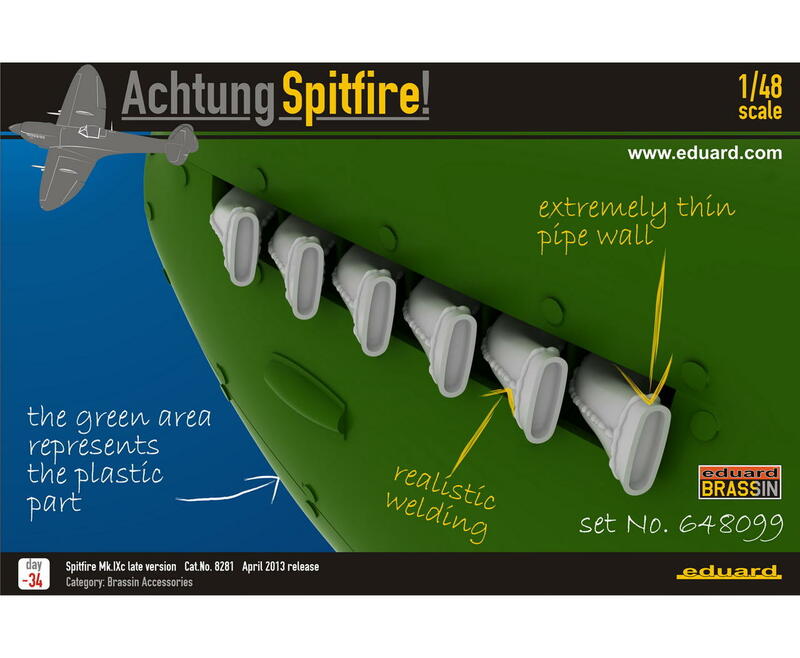 Detailed brassin fishtail shape exhausts for late Spitfire versions with 12-exhaust Merlins in 1/48 scale. 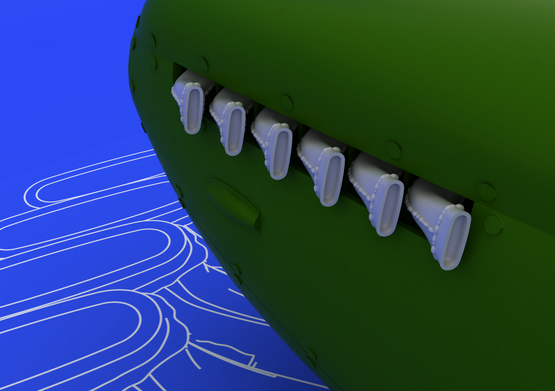 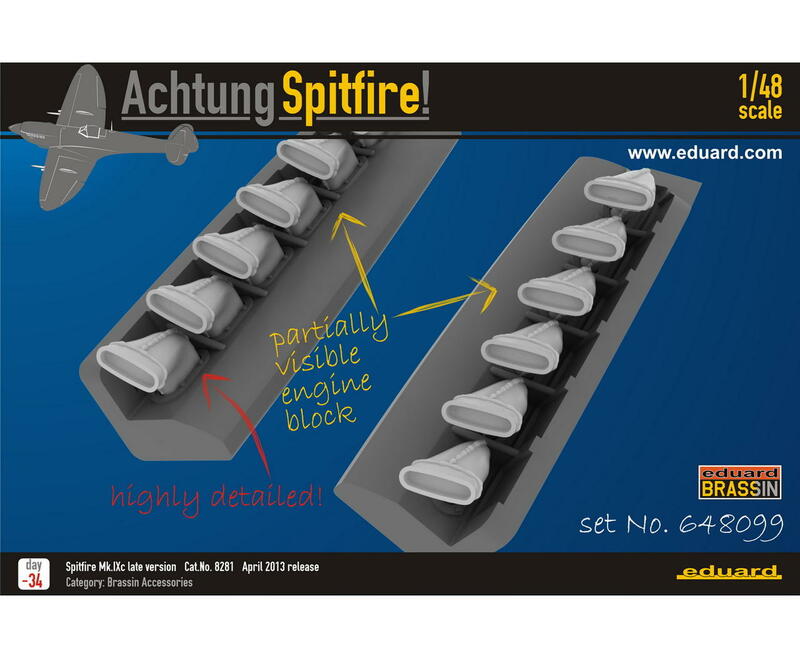 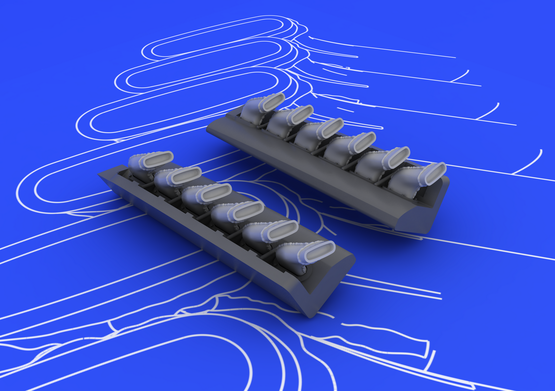 All details such as weld joints and exhaust outlet are reproduced in high detail level. 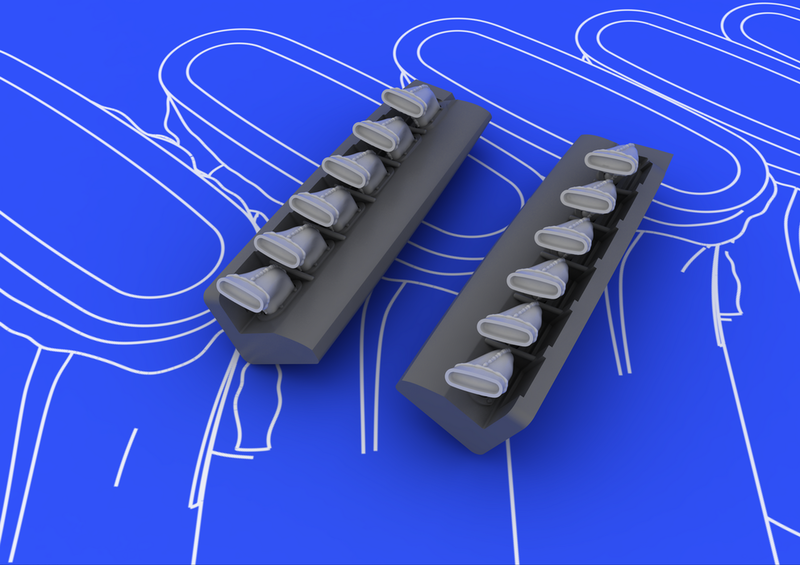 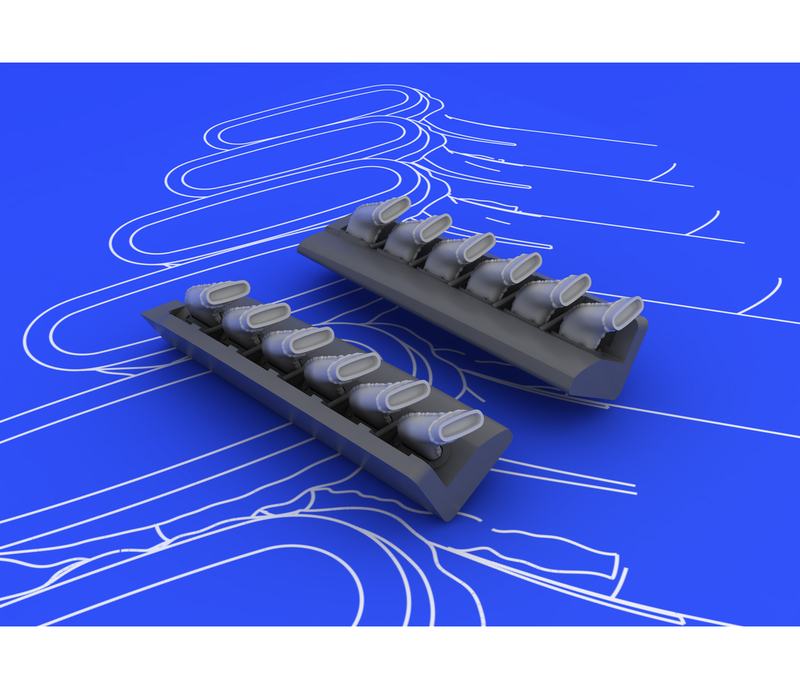 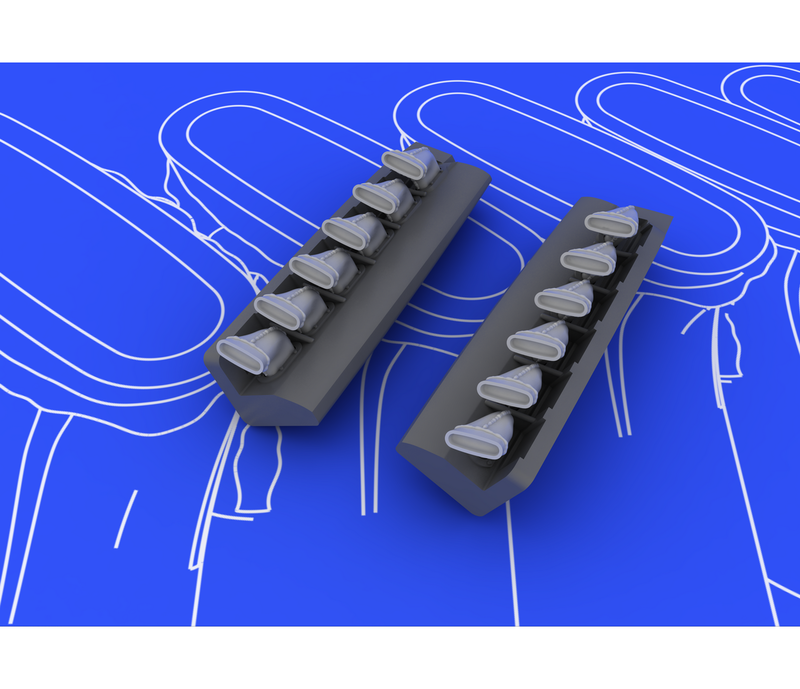 Set consist of 12 separate exhausts.